A couple of loop the loop wins and one big fail prove that driving a real-life Hot Wheels loop is easier said than done. CPS should be called on any child (boy or girl) who wasn&apos;t allowed to play with Hot Wheels. The orange racetracks and cars were perhaps the most important items in any kid&apos;s toy box. The best part about any Hot Wheels set was the loop the loops. The loop the loops were inexpensive to purchase and provided endless thrills. Daredevils have recently begun living out their childhood fantasies on life-sized loop the loops. These videos prove that just because something looks easy to do with a toy car on a plastic track, doesn&apos;t mean it&apos;s easy to do in real-life. Tanner Foust and Greg Tracy set the bar ridiculously high for loop the loop awesomeness at the 2012 Summer X Games. The pair successfully did a loop the loop at the same time, with each driver finishing their run with a short jump. Fifth Gear was actually the first BBC car show to attempt a loop the loop stunt. The show&apos;s resident stunt driver Steve Truglia successfully drove a Toyota Yaris through a massive loop the loop. This video stars a Chinese stunt driver (Li Yatao) going through the world&apos;s largest single loop the loop (42 ft 2.69 in). Chinese drivers don&apos;t always make the loop the loop-more on that later-which is what makes this video especially awesome. Anything Fifth Gear can do, Top Gear can apparently do better. This was proved when Top Gear took its live show to South Africa and performed a double loop the loop. The ridiculous flame at the end of the run is the best part. This video from China shows what happens when a stunt as dangerous as the loop the loop goes bad. Here&apos;s hoping the clapping during the video was for the driver walking away unscathed. 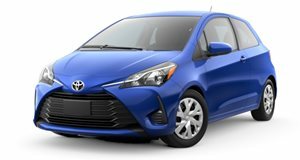 2018 Toyota Yaris Test Drive Review: Can A Manual Make It Fun? Or is it just competing in a dying segment?